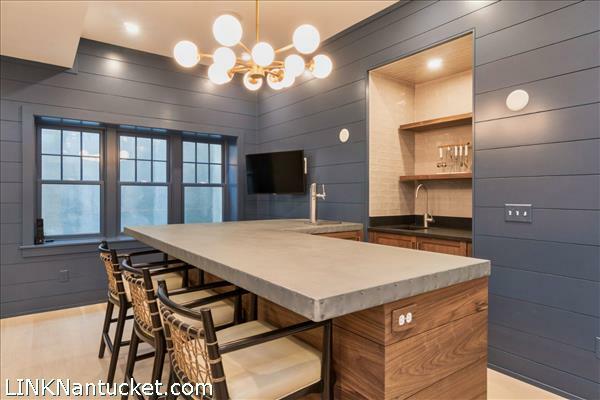 First Floor An open dining, living and kitchen concept. 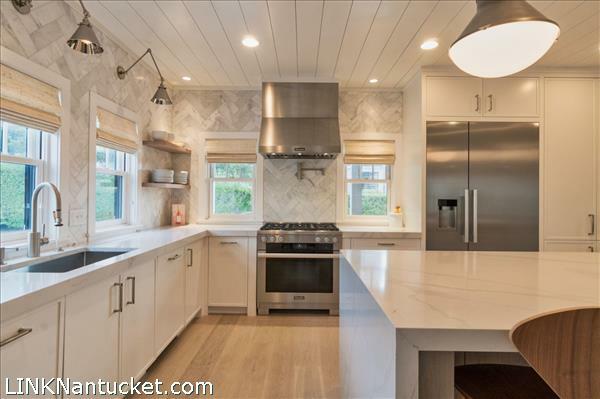 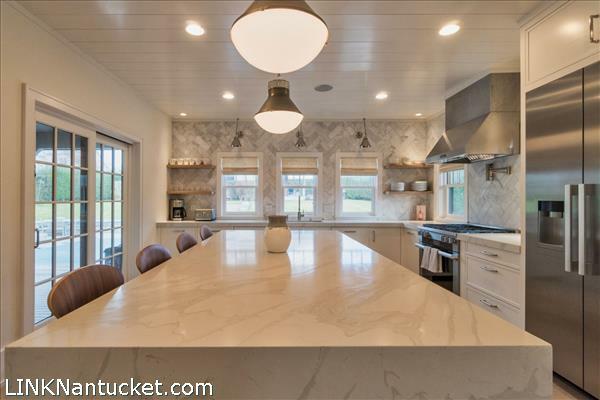 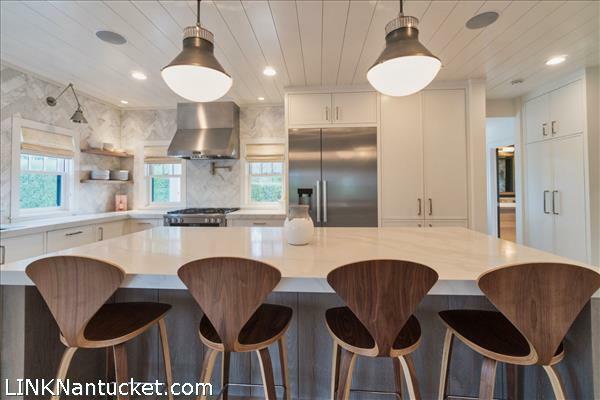 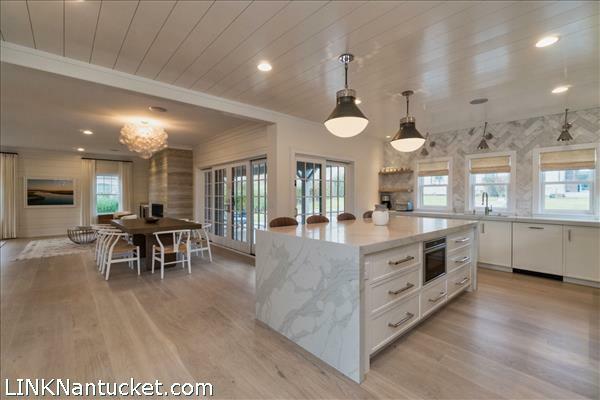 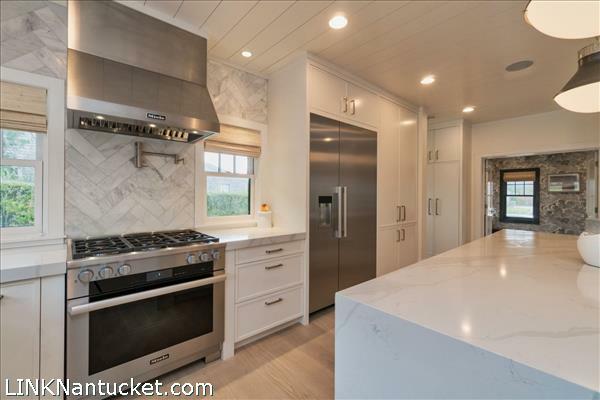 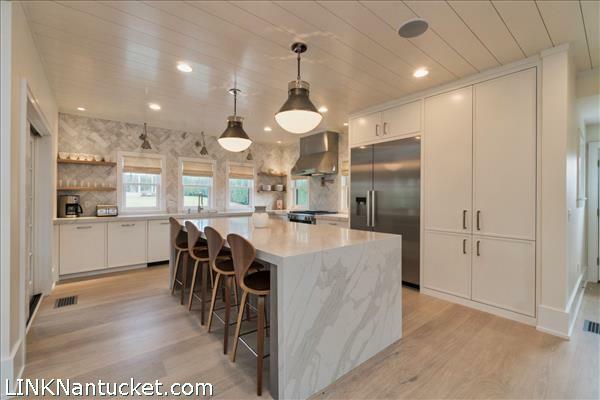 Kitchen is finished with the finest materials from a chevron marble tiled backsplash accented with marble counters, to spacious seating at a large waterfall island illuminated by custom urban electric light fixtures. 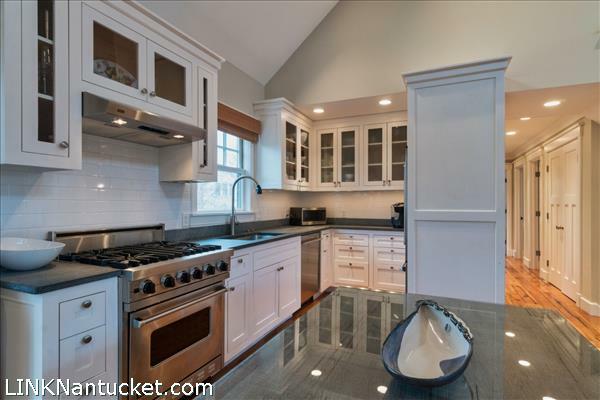 Appliances are top of the line including large Miele professional range and the convenience of 2 Miele dishwashers. 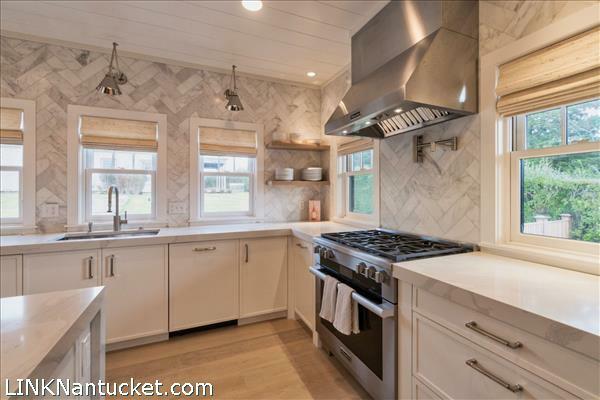 The Kitchen flows into the dining area and living space where an exquisite porcelain wall wraps a gas fireplace creating a design focal point. 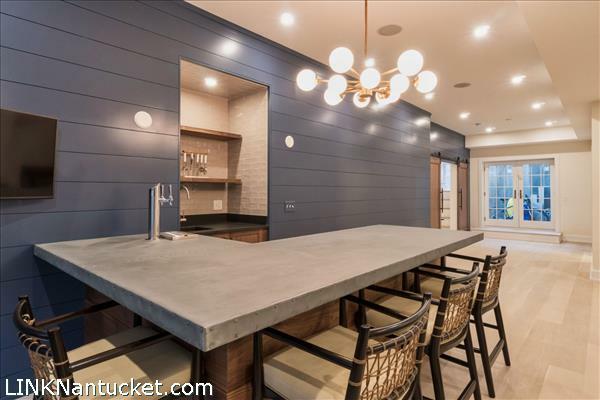 A custom wet bar with antiqued mirror backdrop accents the area and makes for easy entertaining. 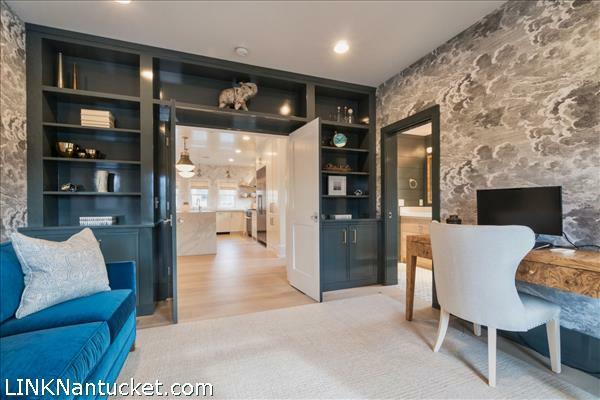 Off the kitchen is an idyllic office space with custom built-in bookcases, finished in high-gloss Farrow & Ball paint to complement the moody Cole & Sons Fornasetti Wallpaper. 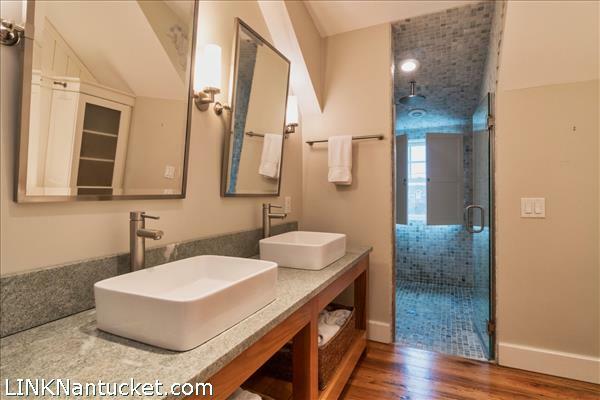 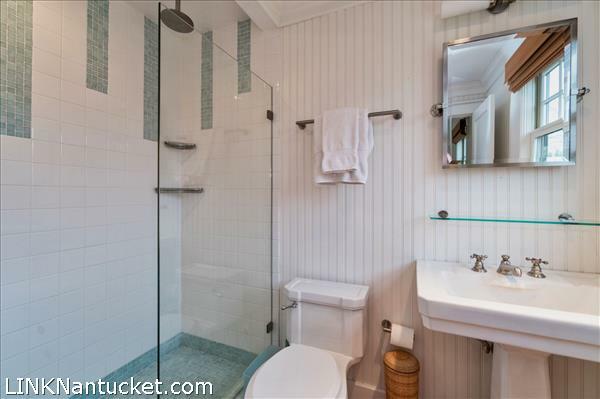 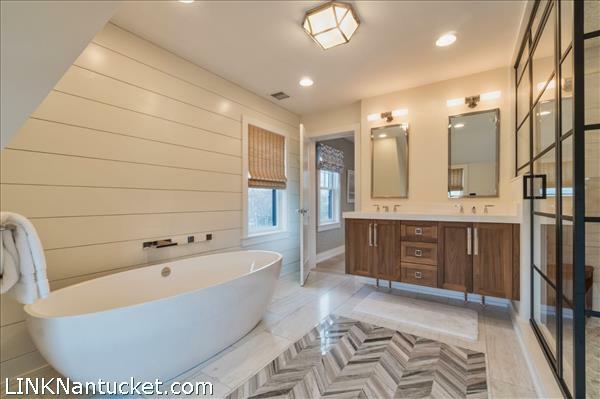 A beautiful full bath with custom vanity is adjacent. 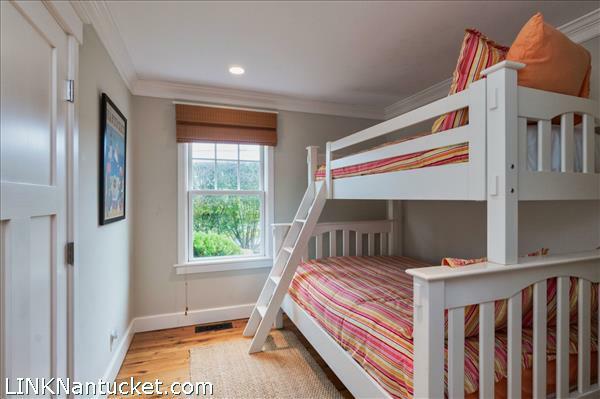 Second Floor Living accommodations upstairs provide comfortable, serene sleeping options. 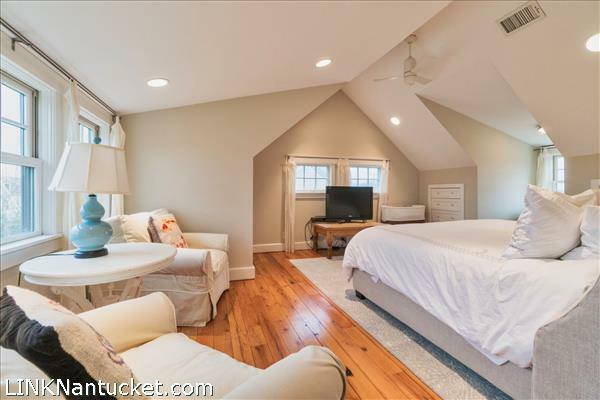 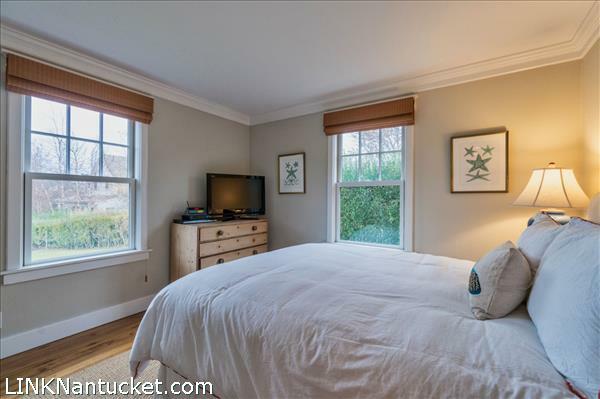 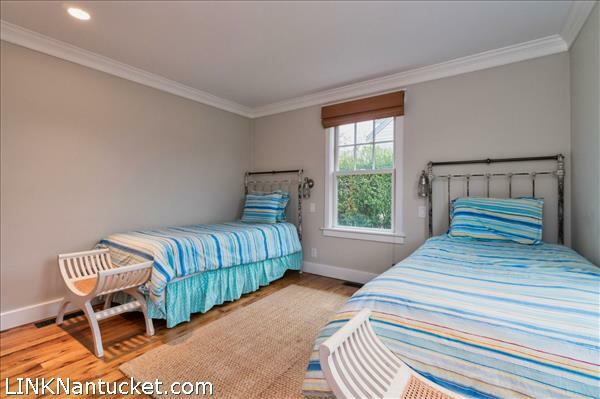 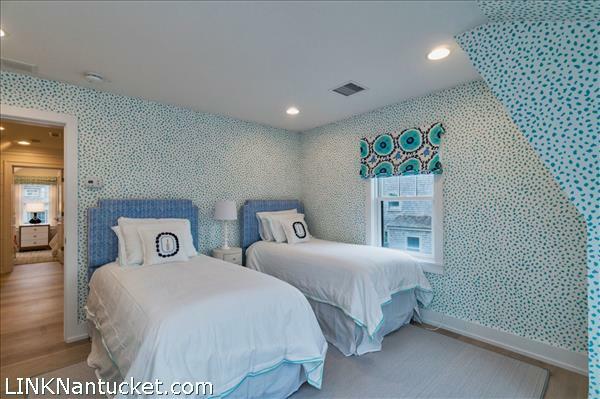 Four bedrooms upstairs include a room with two twin beds and two queen bedrooms. 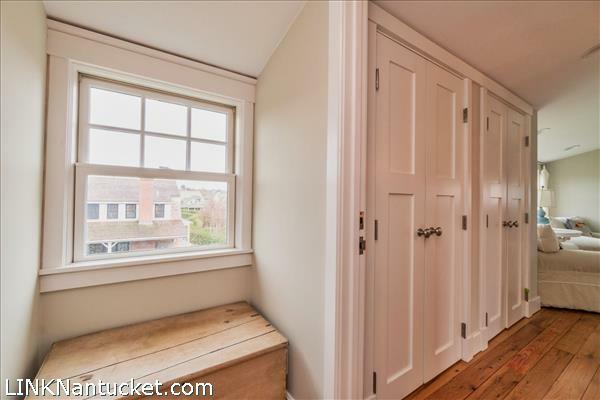 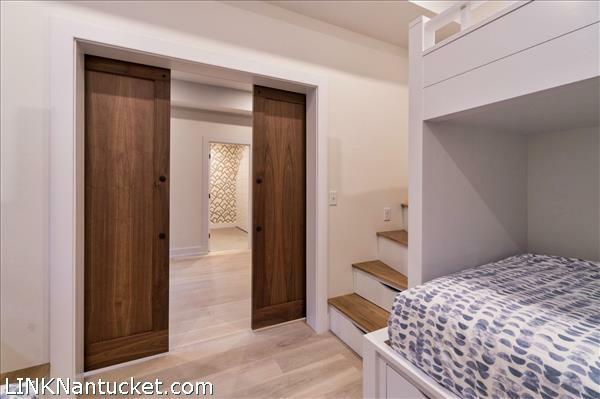 A full laundry closet conveniently nestles itself in the hall. 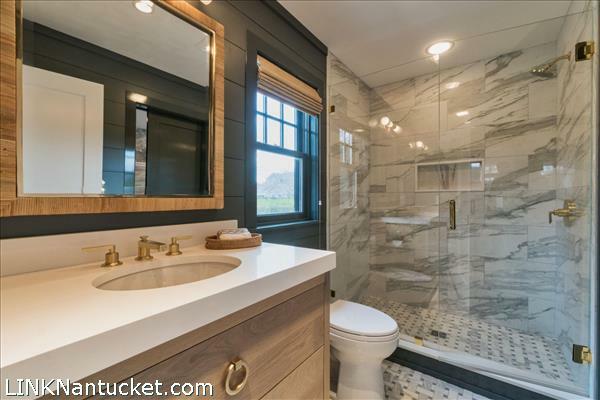 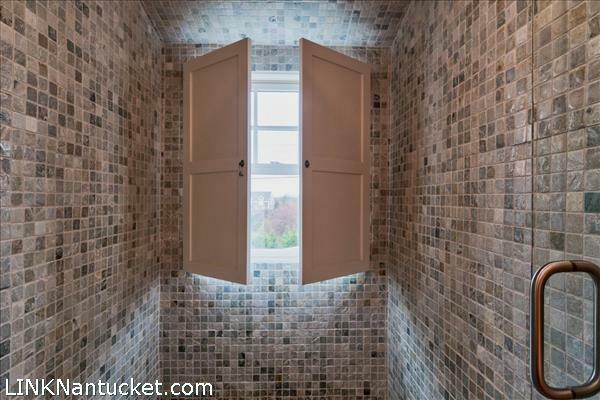 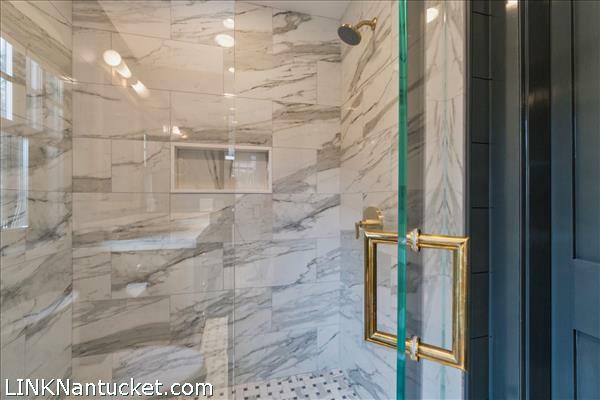 There is a beautiful, big bathroom with custom marble tile work, double vanity and a large glass shower. 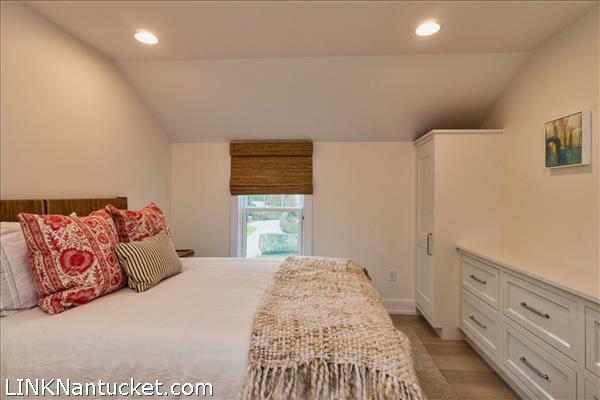 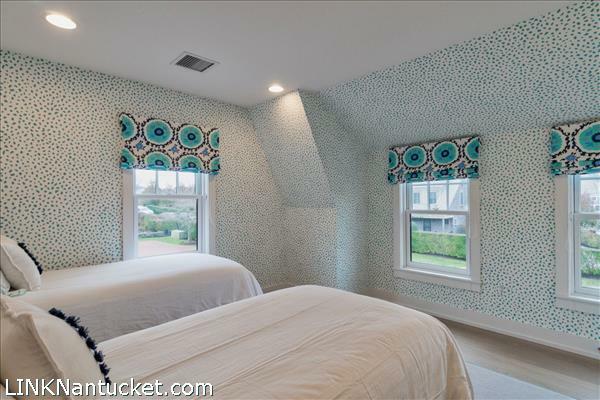 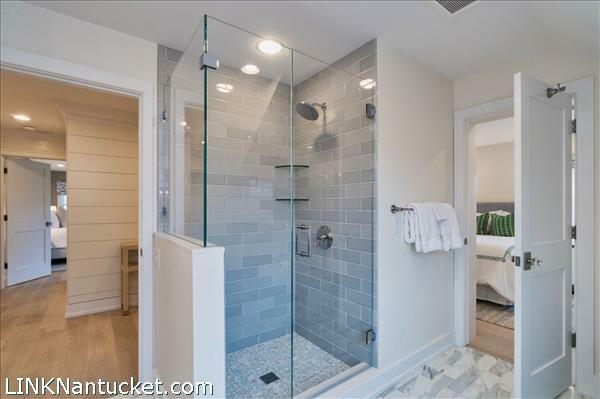 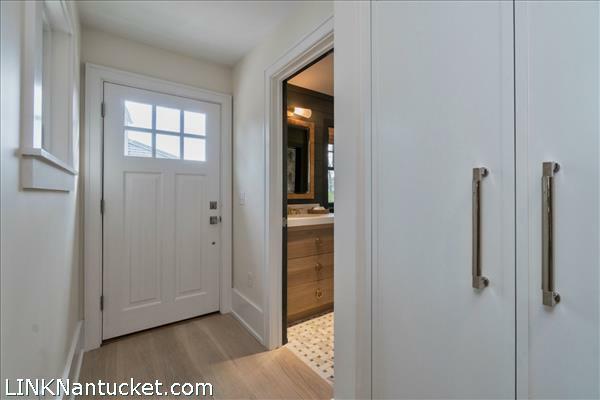 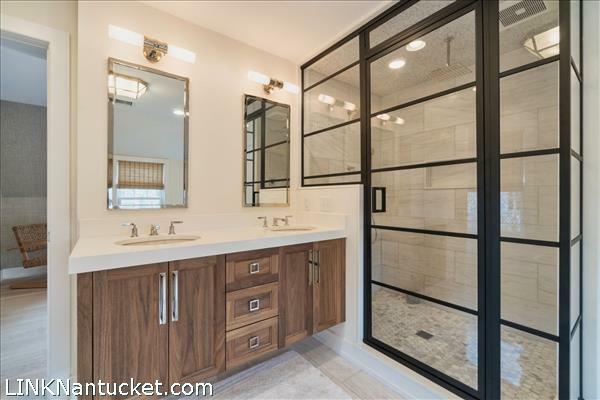 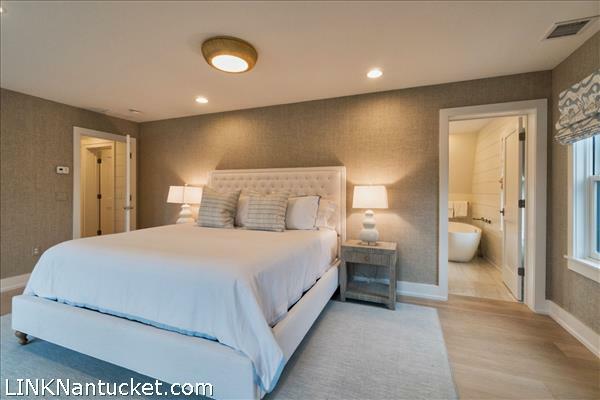 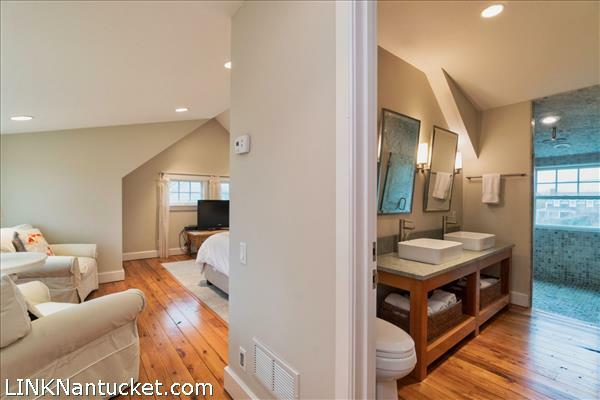 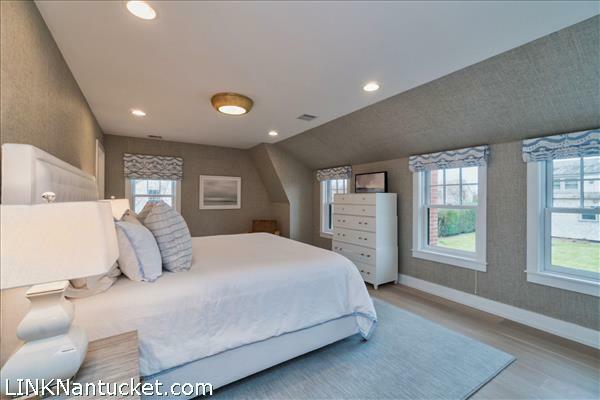 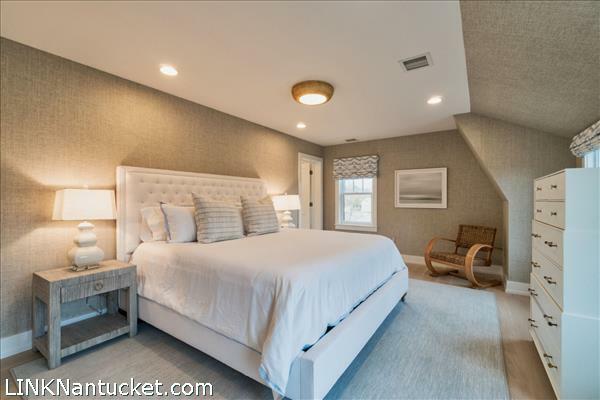 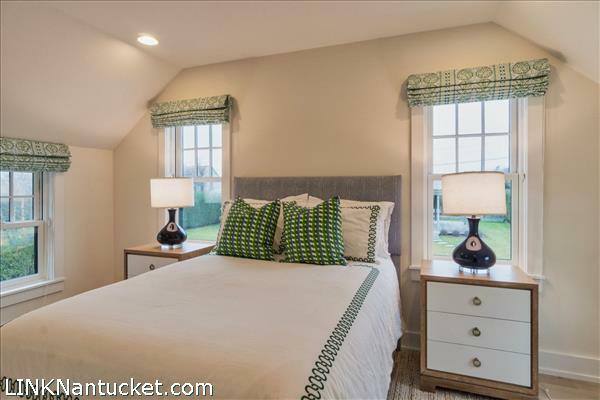 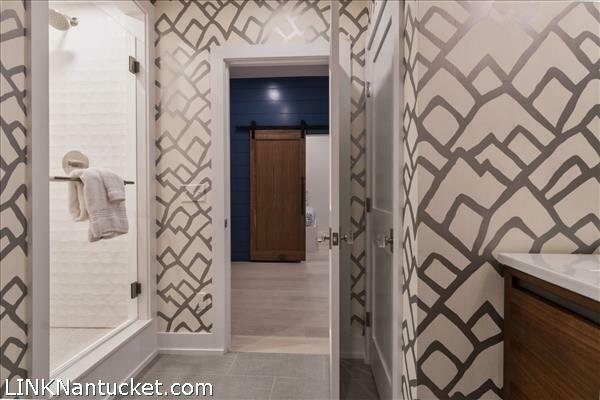 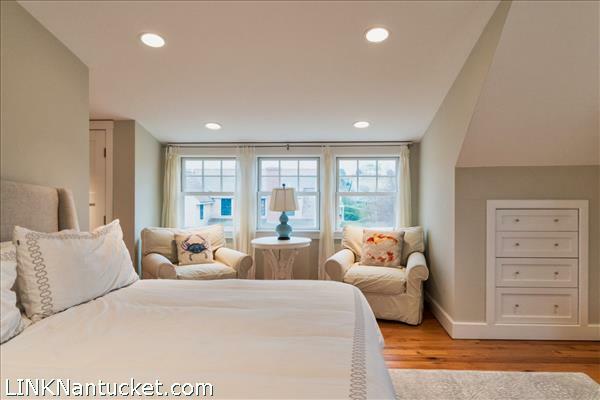 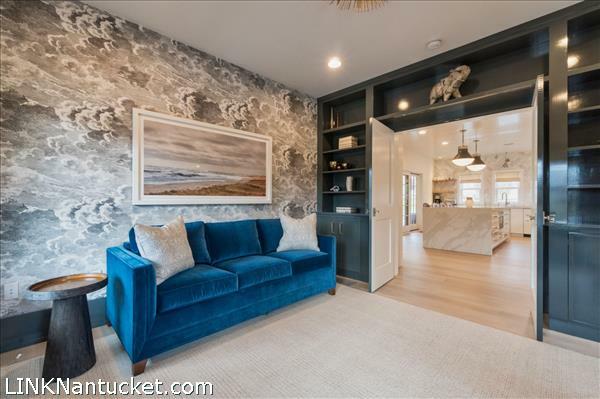 A king master bedroom has a walk in closet and an en suite bathroom with spacious steam shower, modern standalone tub, custom tile work and double vanity. 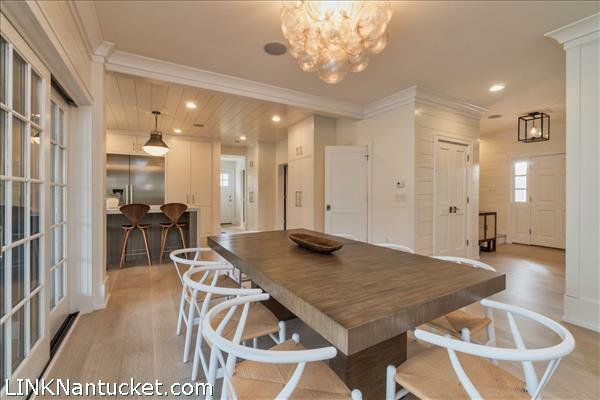 Every aspect is sophisticated and modern balanced with classic touches. 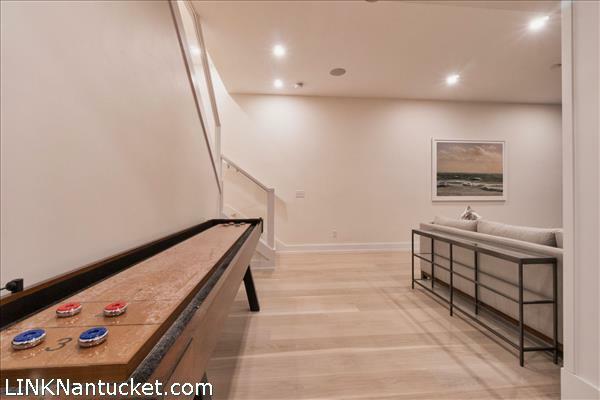 Lower Level A fully furnished basement has every design aspect for entertaining including custom, zinc topped bar with your favorite beer on tap, ice machine, shuffle puck table and large sectional sofa. 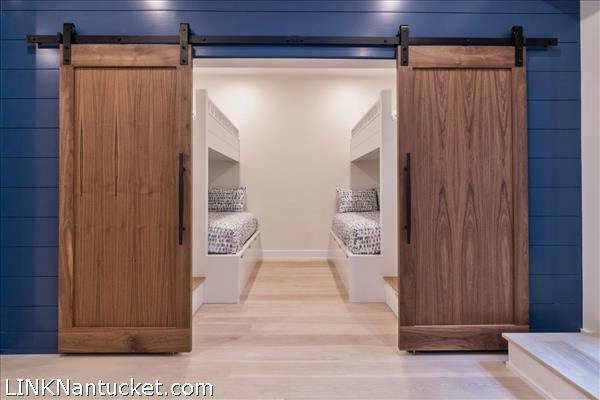 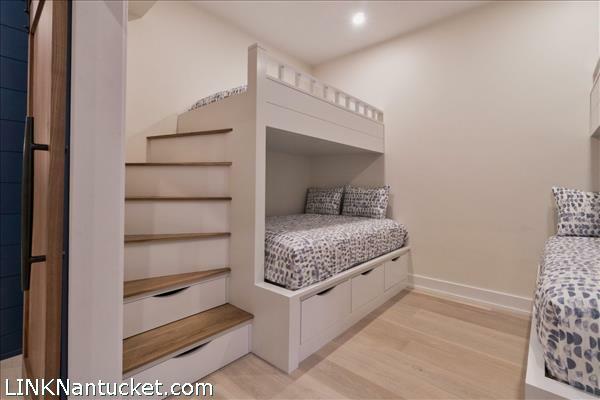 There are custom built in bunks to sleep up to 6 downstairs. 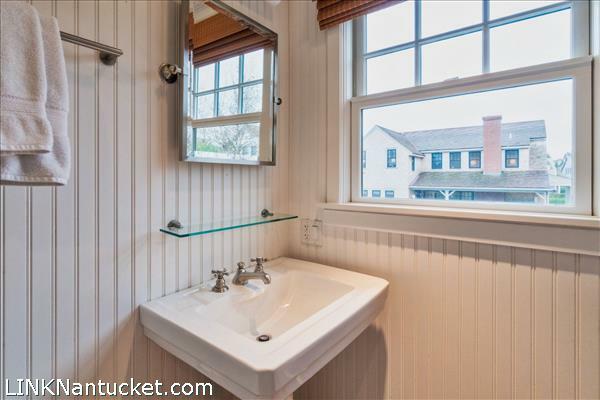 There is a full bathroom, including a second laundry and a large room for storage. 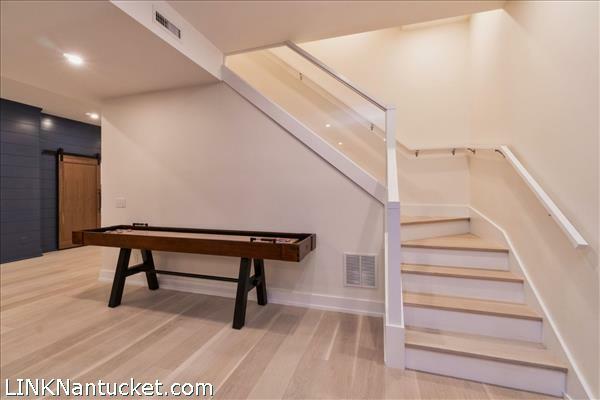 The basement design includes 10′ ceilings, deep well windows and french doors providing access up custom built stairs leading up to the pool. 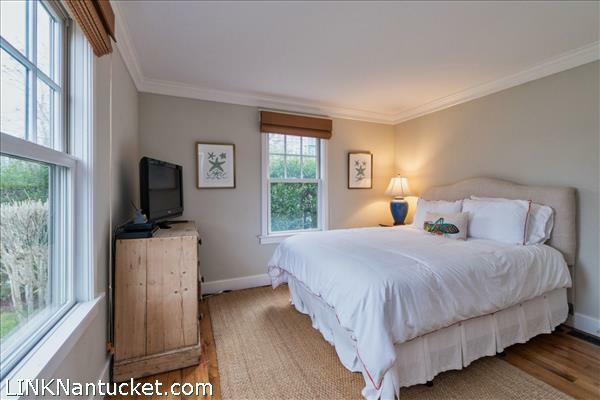 Other Structures A captivating five-bedroom guesthouse is perfect for providing privacy for guests. 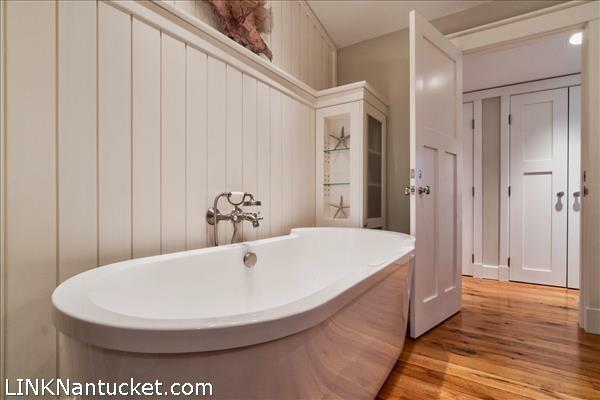 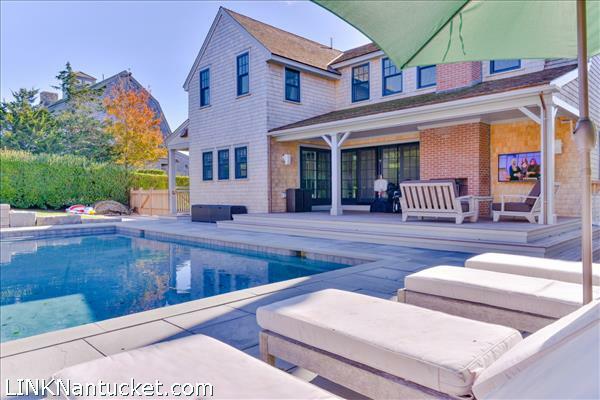 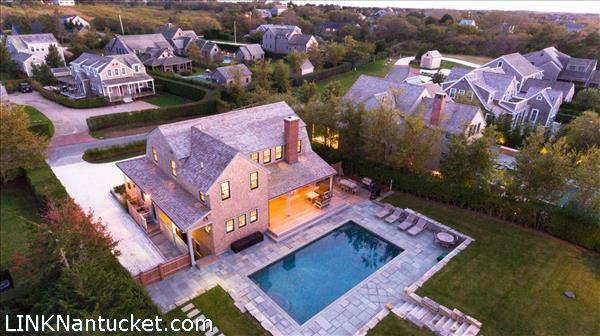 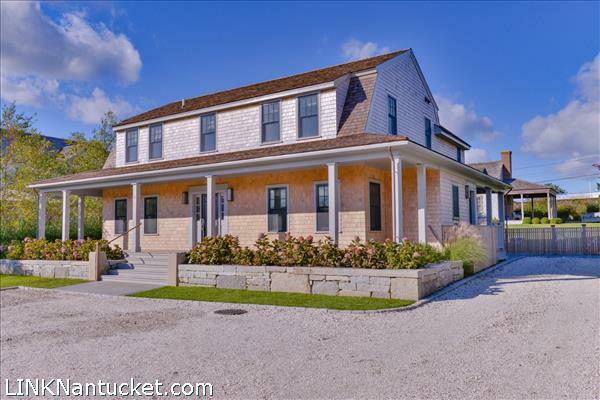 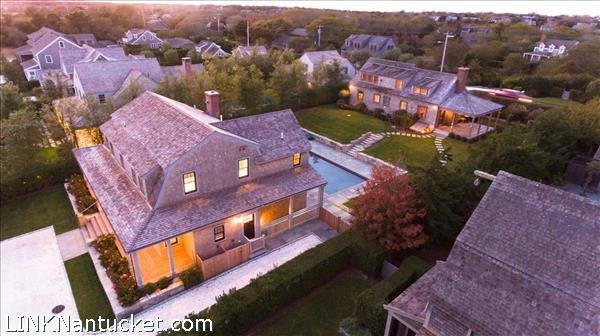 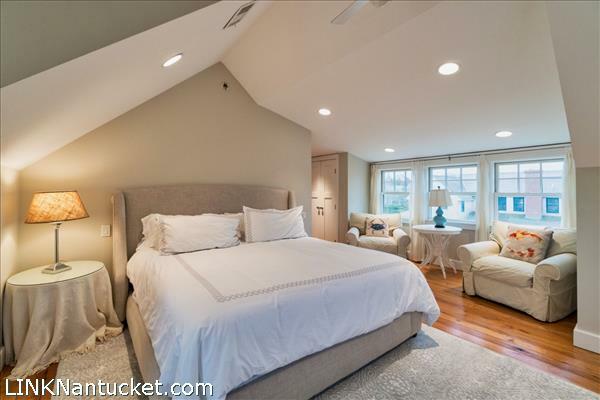 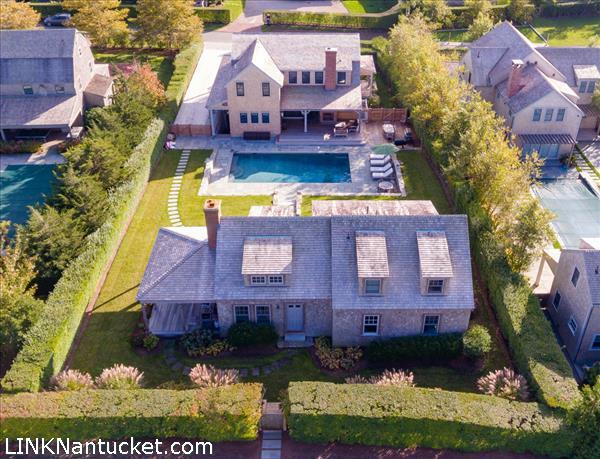 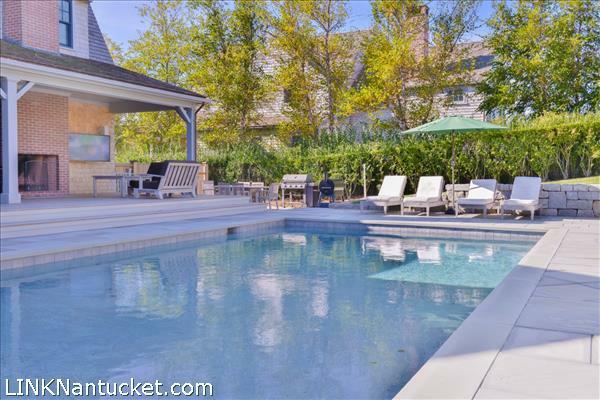 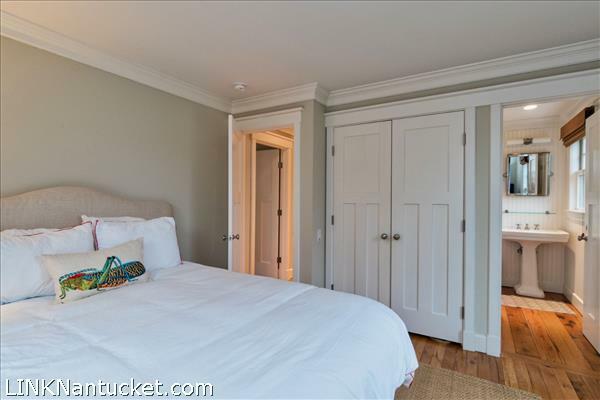 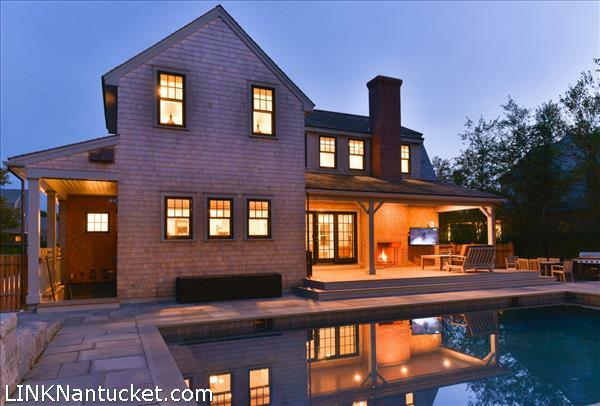 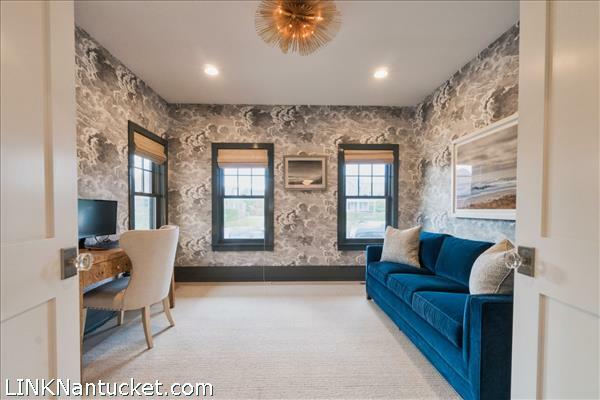 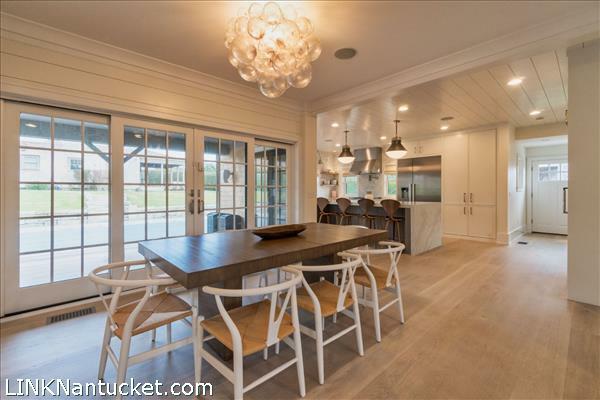 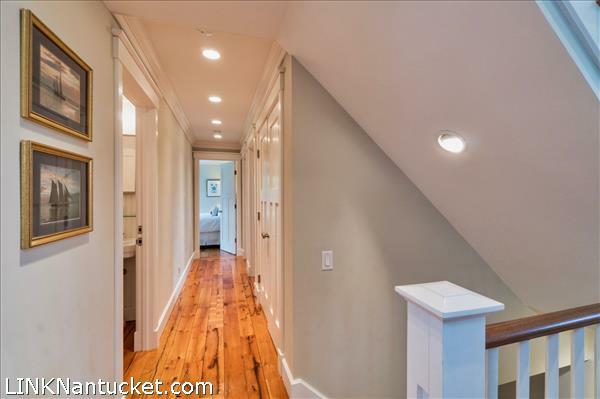 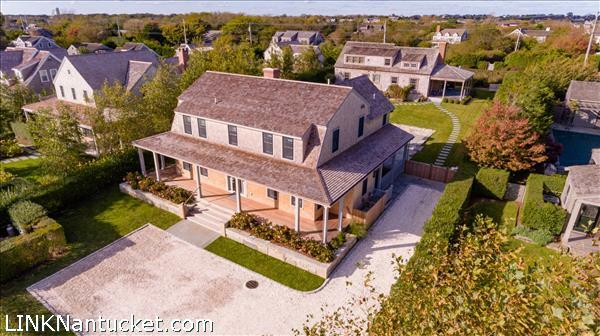 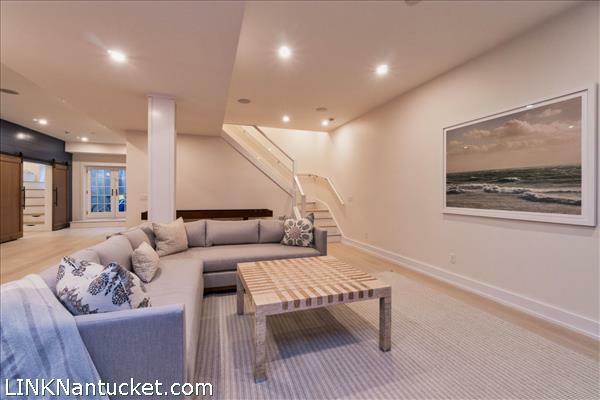 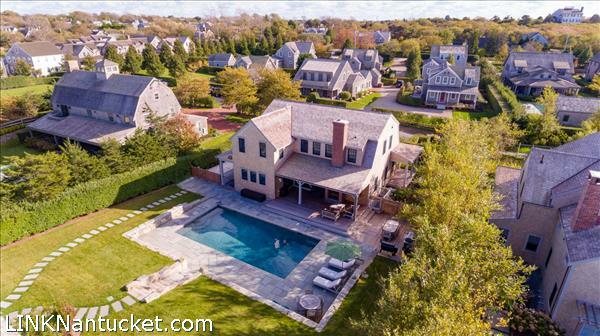 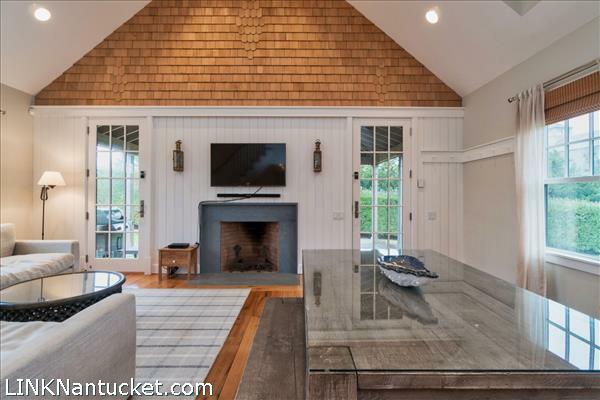 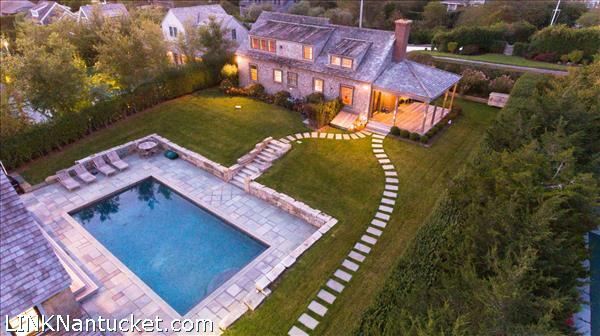 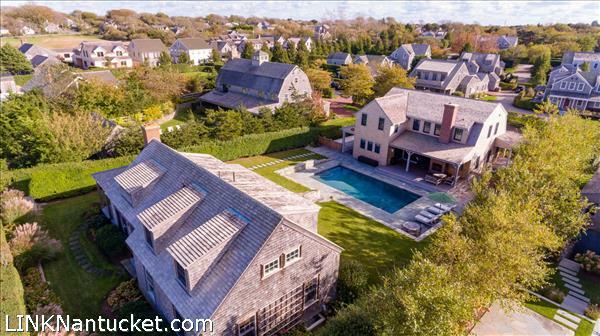 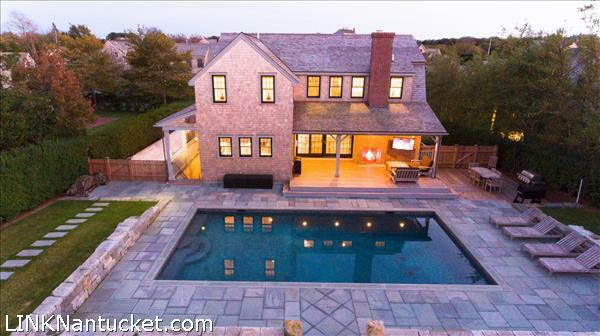 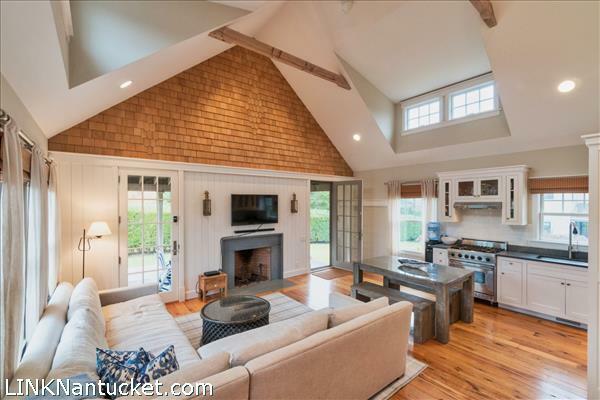 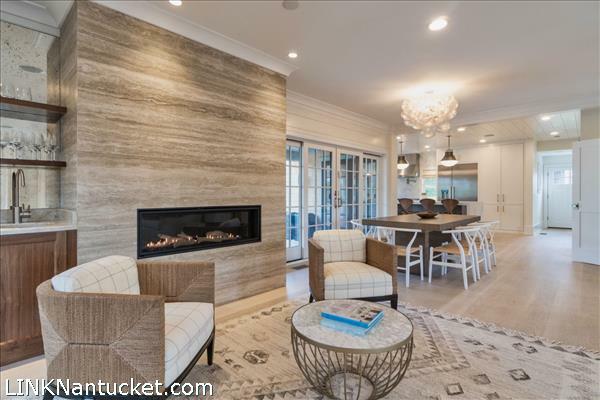 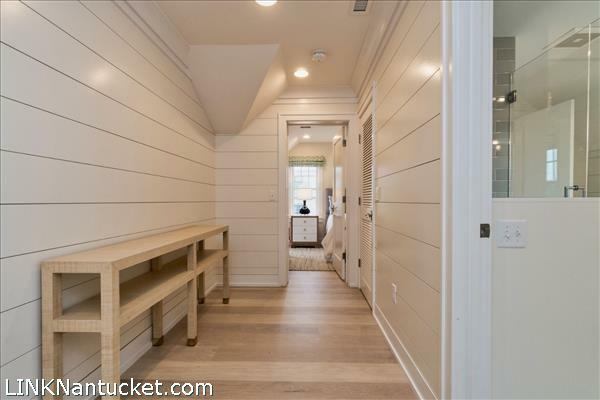 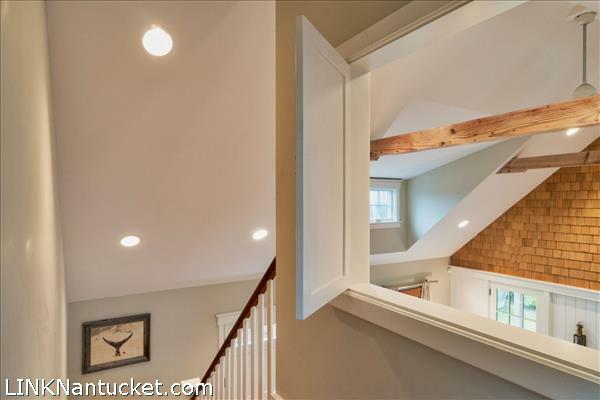 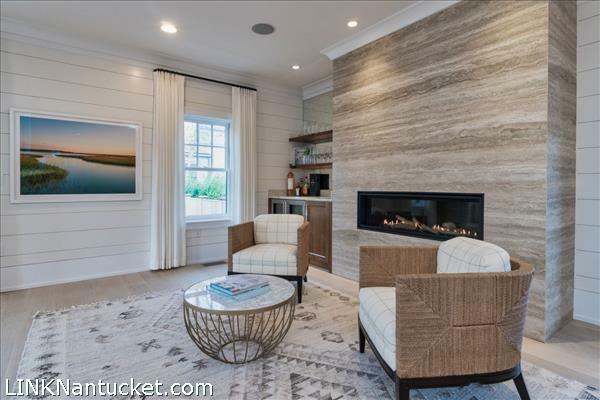 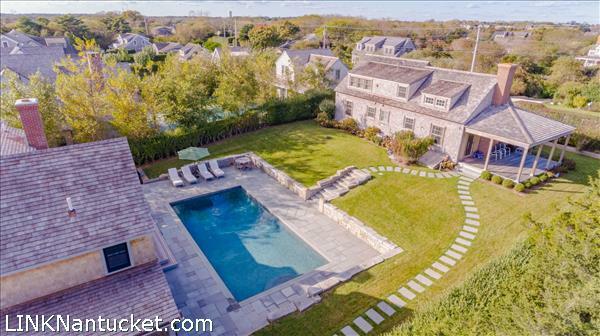 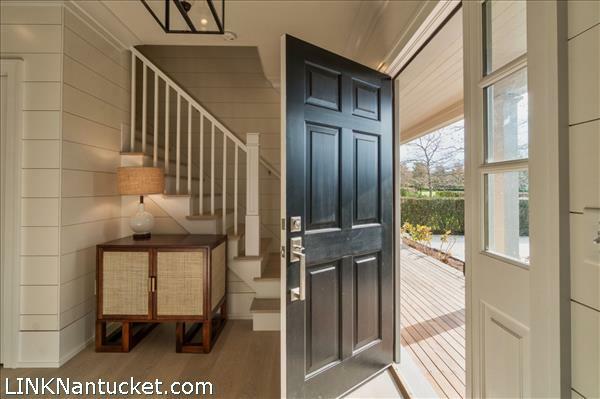 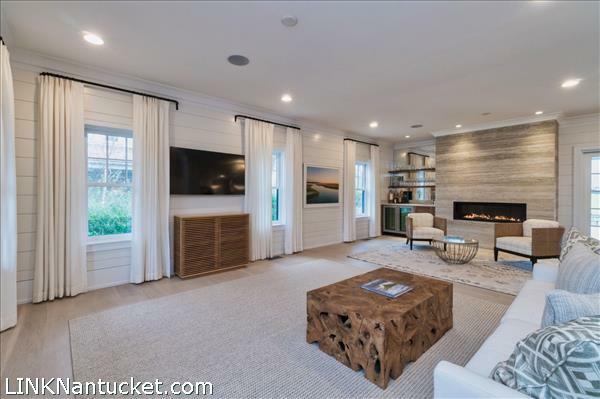 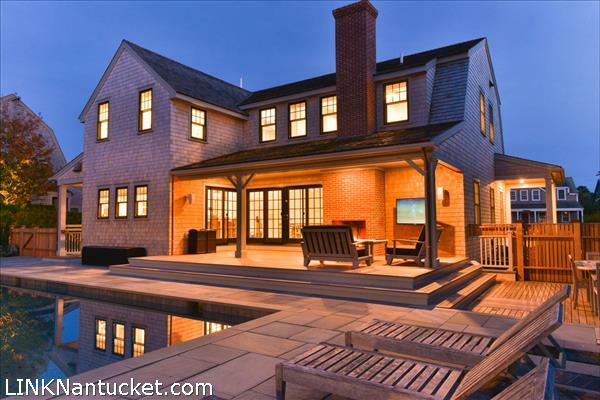 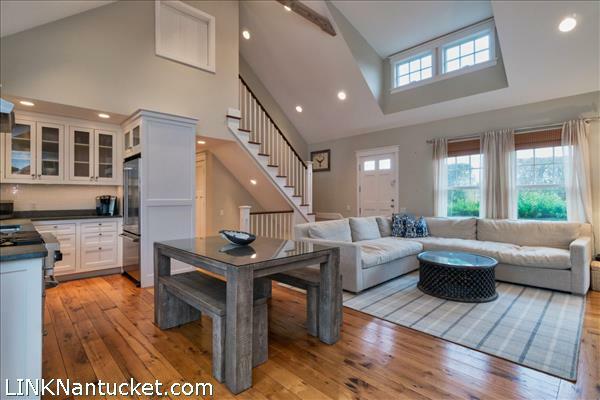 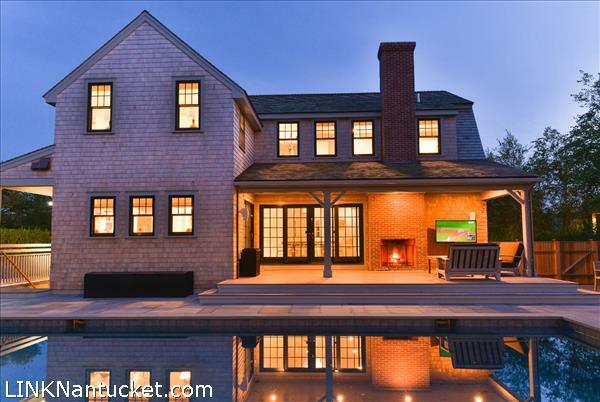 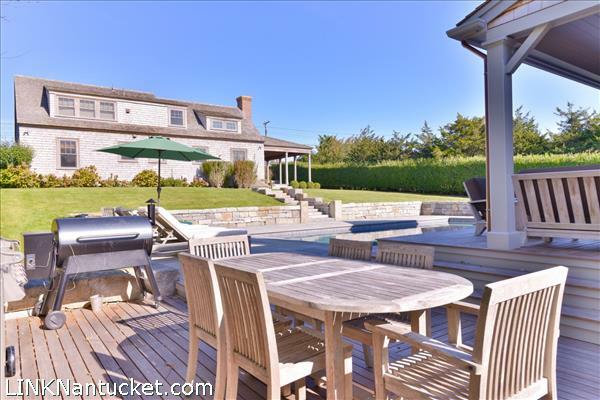 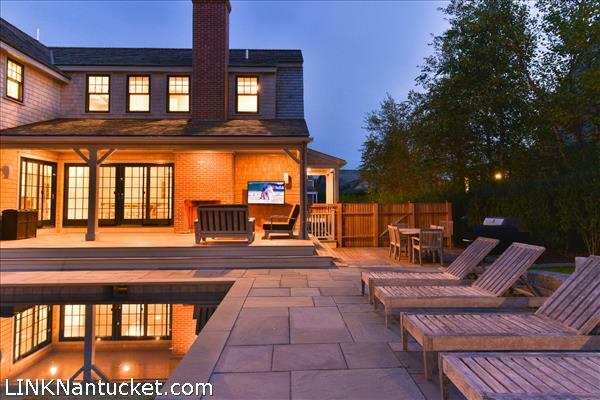 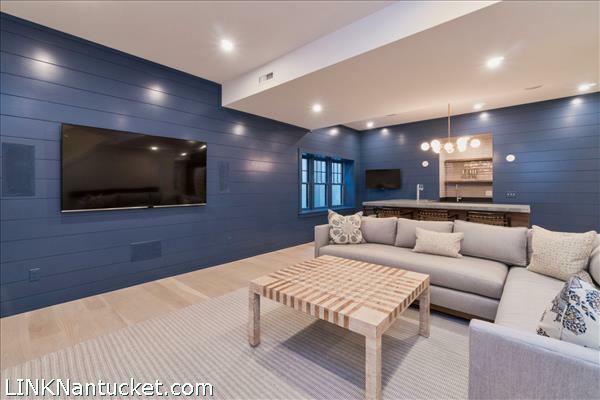 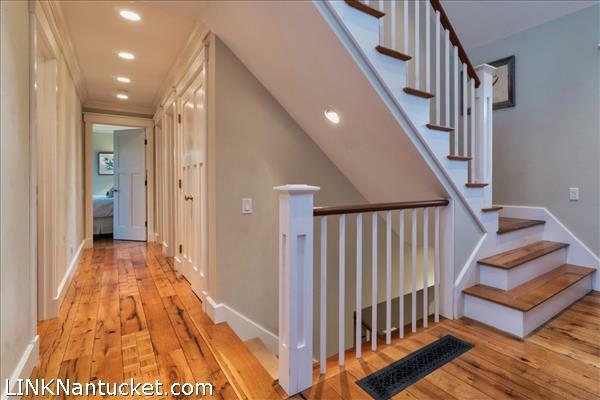 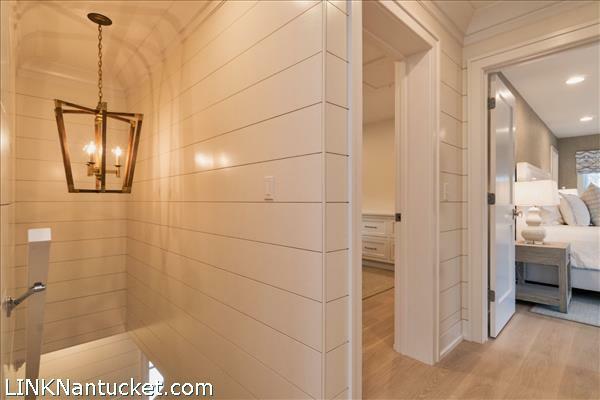 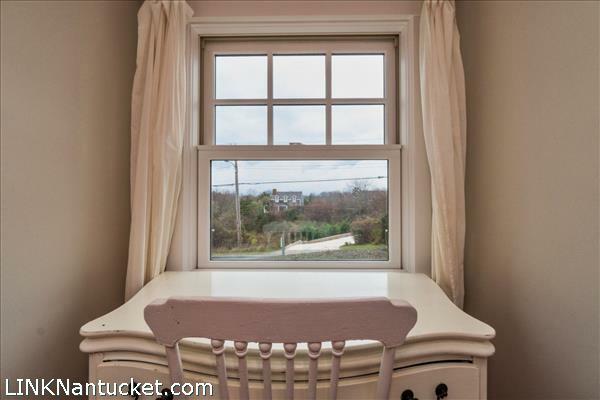 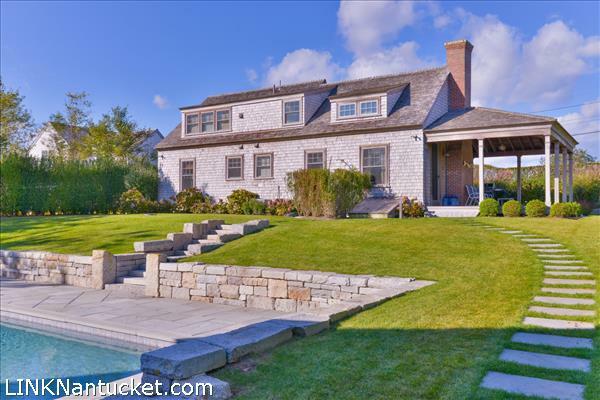 High-end amenities throughout include antique oak flooring, shingle art cathedral ceilings, custom tile and woodwork. 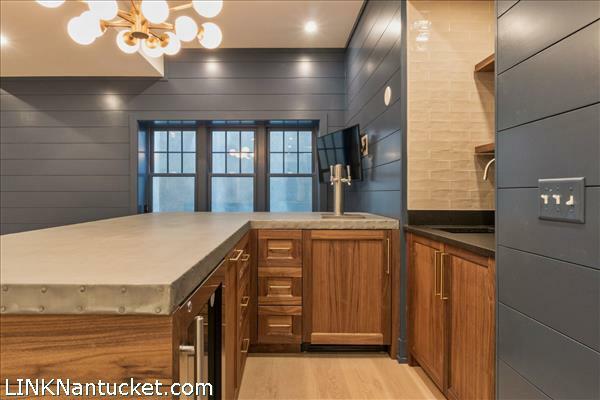 Well-equipped kitchen with Viking appliances is open to dining area and a spacious living room centered on a large wood-burning fireplace. 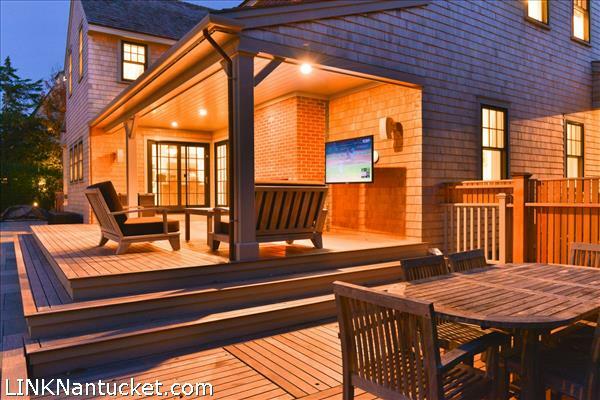 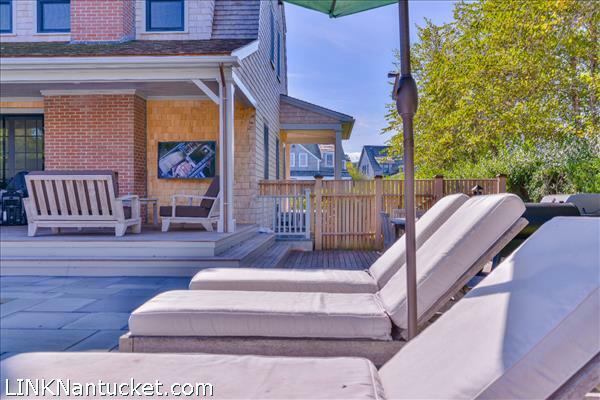 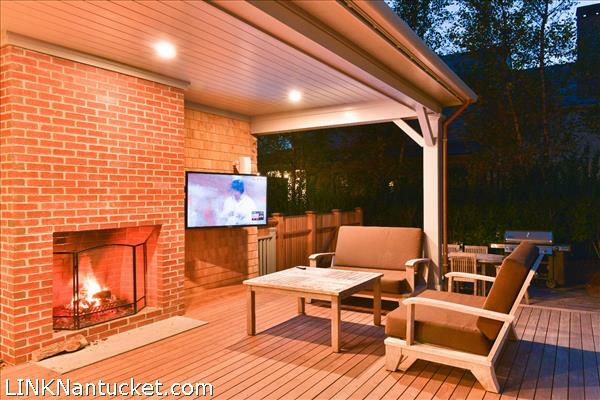 Living space spills onto covered porch ideal for outdoor summer living. 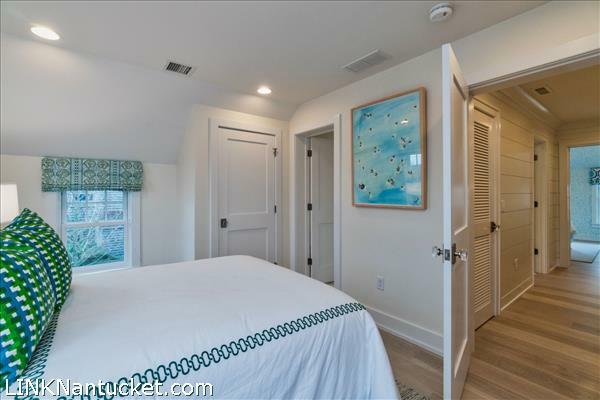 Three bedrooms are on the first floor including a queen master with a beautifully tiled glass shower in the en suite bathroom. 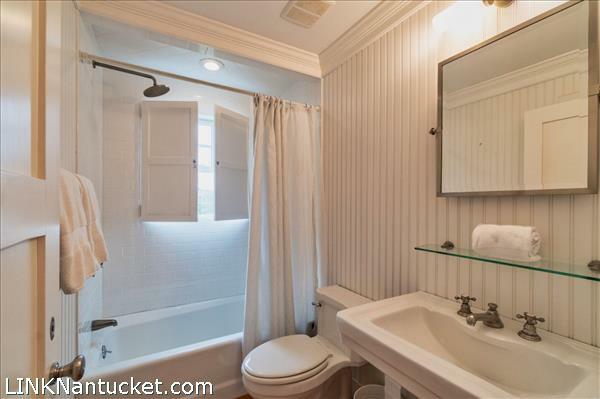 A separate full bath is also located on this floor. 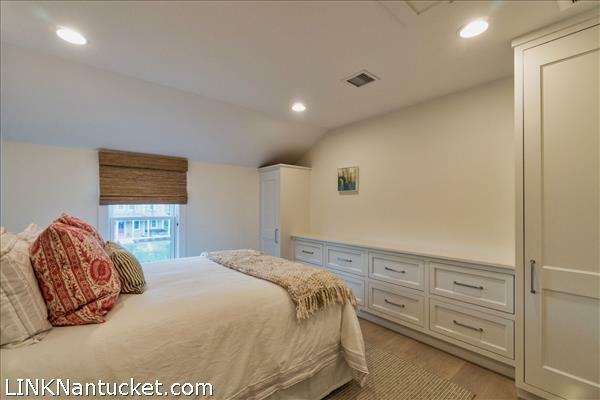 The second floor consists of a master suite with king bed and a full bathroom including large rain shower and separate Jacuzzi tub and double vanity. 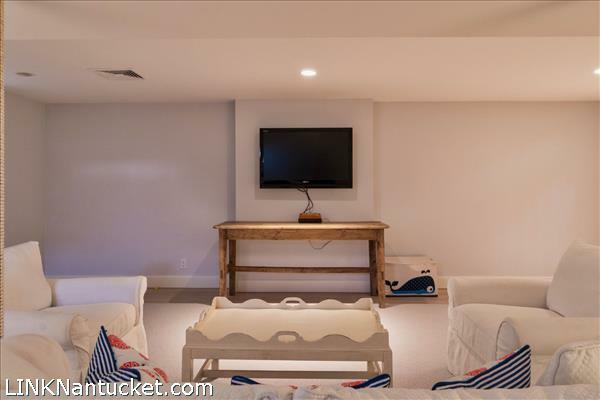 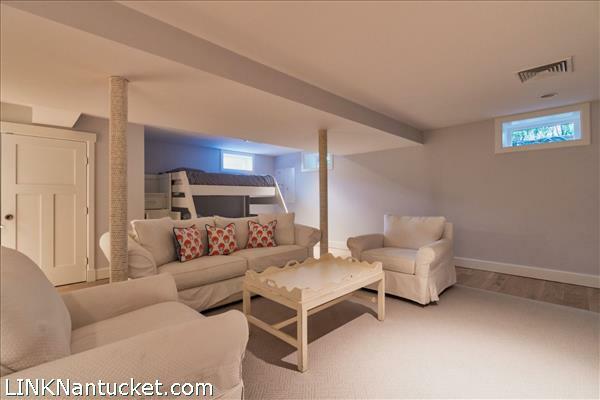 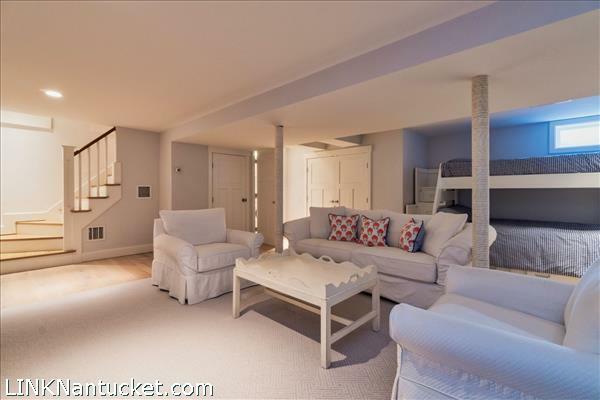 The basement level has an open sitting/media room, laundry and additional sleeping for four.